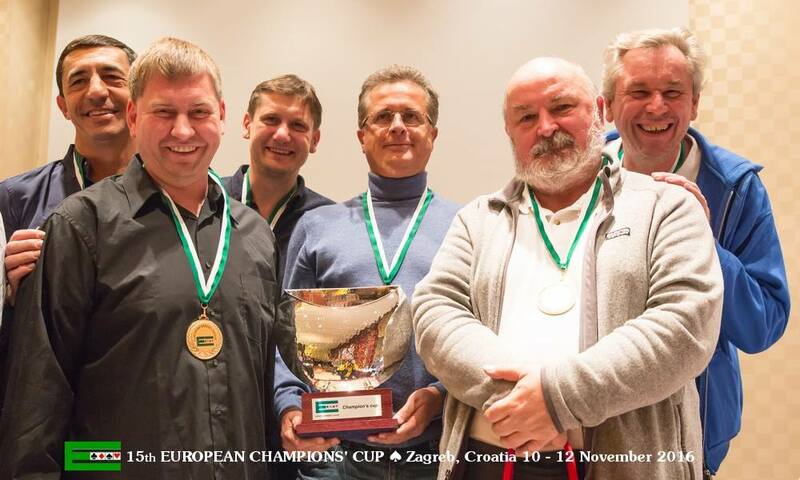 Team Monaco FM won the 15th European Champions' Cup at the Esplanade Hotel, in Zagreb, Croatia. Congratulations to Pierre Zimmermann, Franck Multon, Dominik Filipowicz, Geir Helgemo, Tor Helness and Krzysztof Martens. Runner-up Team Heimdal BK from Norway and the bronze medal goes to the German Team of BC Bamberger Reiter.